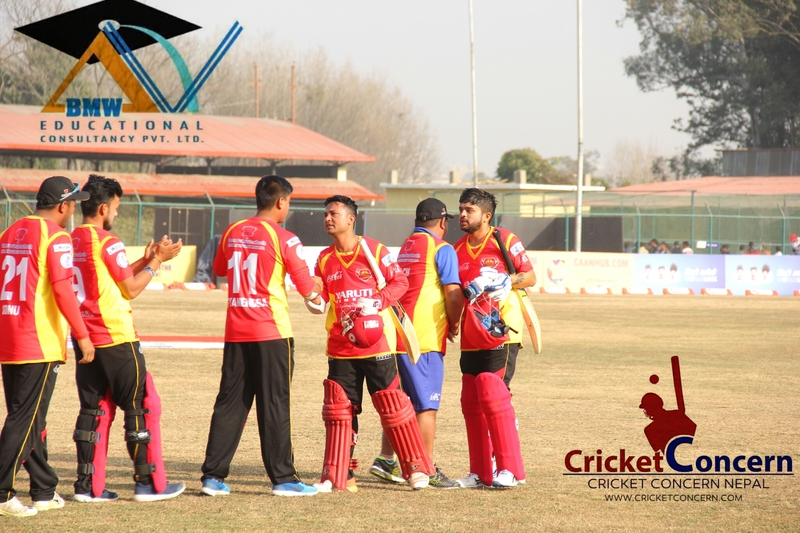 As Paras Khadka, the national skipper and captain of the winning team Biratnagar Warriors stated after a dramatic win against the underdogs Bhairahawa Gladiators, “I don’t want to recall what happened at that moment.” It just happened so quickly and rapidly, we are happy that we held our nerves. This was exactly what happened at the climax of an overwhelmed tournament that ever happened in Nepal. The Managing Director of EPL Aamir Akhtar stated with a lot of generosity that “such tournament would re-write the status of Nepali Domestic Cricket”. He thanked everyone involved in the success of such a popular league that will redefine the value of domestic leagues in Nepal. It was something extraordinary that we have witnessed in this couple of weeks. It all started with such a progressive manner and gradually picked up the pace that everyone couldn’t stop themselves to get involved. The enthusiasm of the supporters, energy of the players, the coolness of the captains, googly of the media and the happiness that it has given to Nepalese Cricket is of huge significance. It has been a great learning curve for everyone that rightfully was in a correct position to have their opinion, support, and implementation. The first match of the tournament didn’t look pretty although, this opened a floodgate of entertainments for everyone consciously or subconsciously into the game. The team that looked strongly balanced in the paper didn’t even bother the strongest of a team to have played the game in their day. This reflected the overall beauty of the league matches that were held in the 1st week of the tournament. 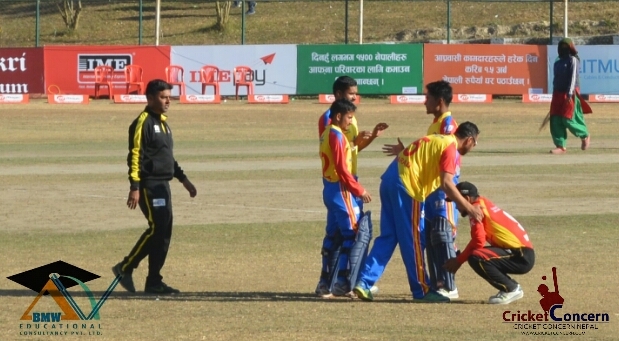 The raw talents began to shine as Anil Sah and Pawan Sarraf showed their talent immensely in the field with batting, bowling as well as outstanding fielding efforts. They never lacked their discipline and kept their cool whenever they needed it the most. This lifted the whole team and made them household names. Every time the commentator shouted out the names in his own way as the U- 19 stars, they got the loudest cheer as close to being the cheer for Paras Khadka that reverberated all over the T.U. International Stadium. Basanta Regmi provided all the experience to the youths with his cunning line and length, Sharad did it with his encouraging words and reading the young minds exceptionally well while Paras lifted the whole team when needed, what else a Nepalese cricket fan would want from a league that had every spice that a Nepali recipe would have in the biggest occasion of the year. Anil Sah did wonders for his team. It had classic innings of Sunil Dhamala with the mixture of Charisma of Md. Arif Sheikh, signature shot of Amit Shrestha, confidence and arrogance of Rohit Poudel, all-round charm of Anil Sah. 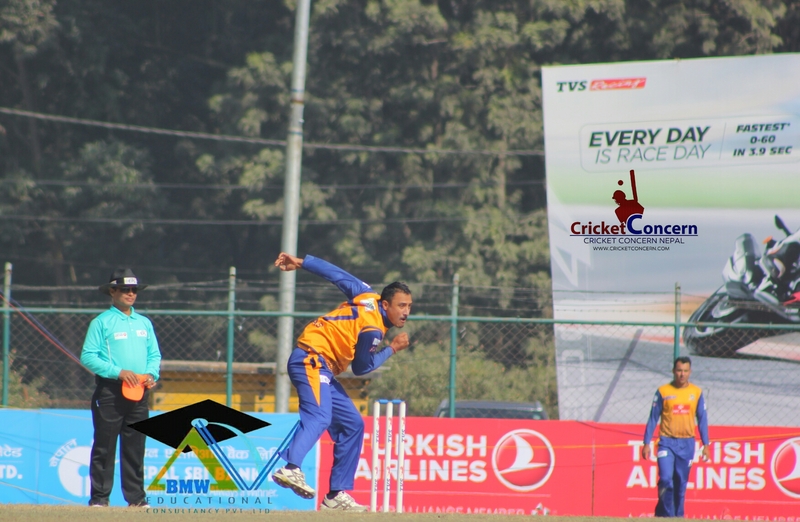 The likes of Paras, Sharad, Basanta and diversified mixture of varieties from an impressive Karan KC made this tournament hugely successful as well as productive to add the asset for the development of Nepali Cricket. We cannot take anything away from Kushal Bhurtel, who may consider himself a touch unlucky with one bad moment. He alongside much young blood raised the bar in fielding and successfully pressurizes senior members to have a sprint and remain fit throughout the day. Finally, it couldn’t have a perfect script than what it had on the closing day with two of the best teams of the tournament faced each other in a perfect climax. One it fulfilled the dream of youngsters playing in a full house crowds like in the International tournament scheduled by the ICC or ACC. The next thing that any of the spectators would want was a contest of temperament, fighting spirit and the game turning in its head in every over. 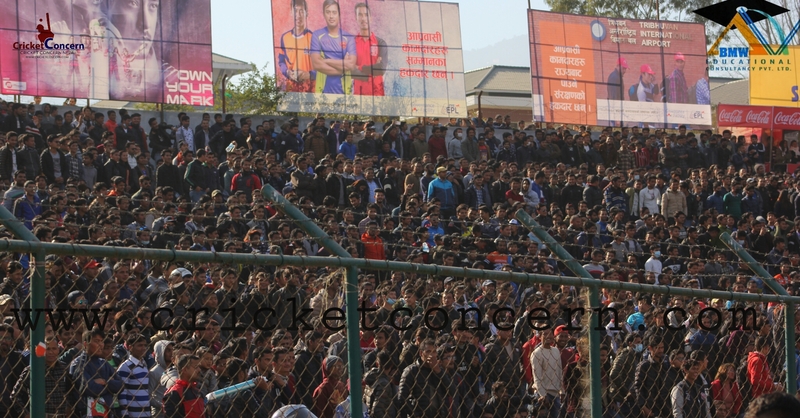 This was what actually happened inside the 22 yards in Kirtipur in the 30th of December 2017, a date that would surely remain in the memory of 25 thousand crowds in as well as outside of the stadium. 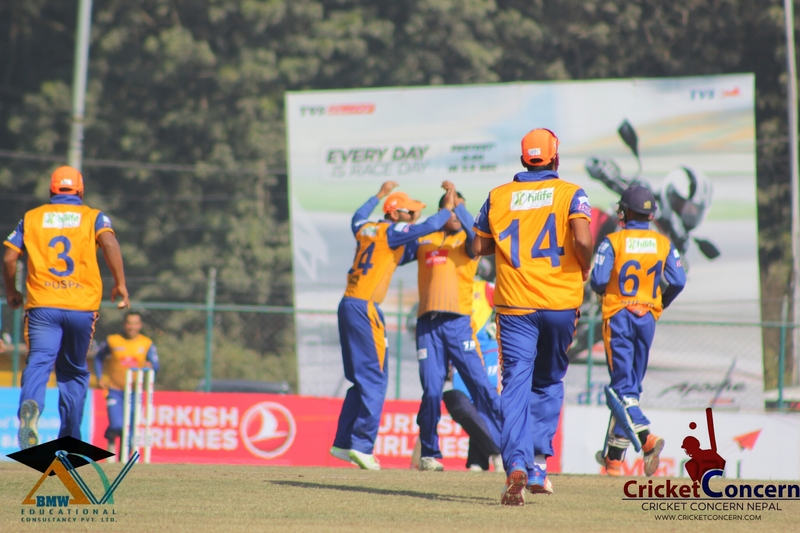 The match was in favor of Biratnagar after Karan KC got that big six towards the end of the 1st innings. No one in their wildest dream would imagine that over, from one of the best players of TVS EPL 2017; Anshuman Rath that nearly helped Bhairahawa to cross the finish line. He was brain faded, low in confidence and most amazingly the pressure of playing in the house full stadium got in the nerves of an International player approaching county cricket in England. 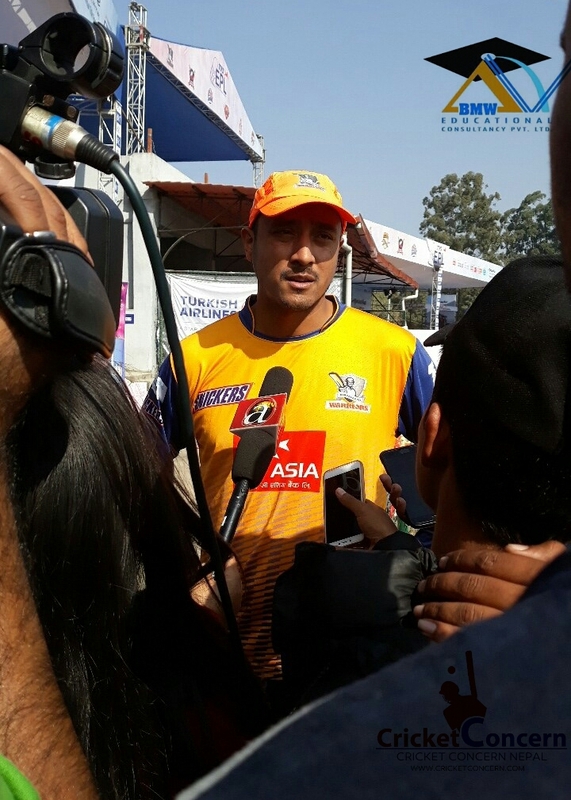 Captain Khadka shouldered the responsibilities for Warriors. 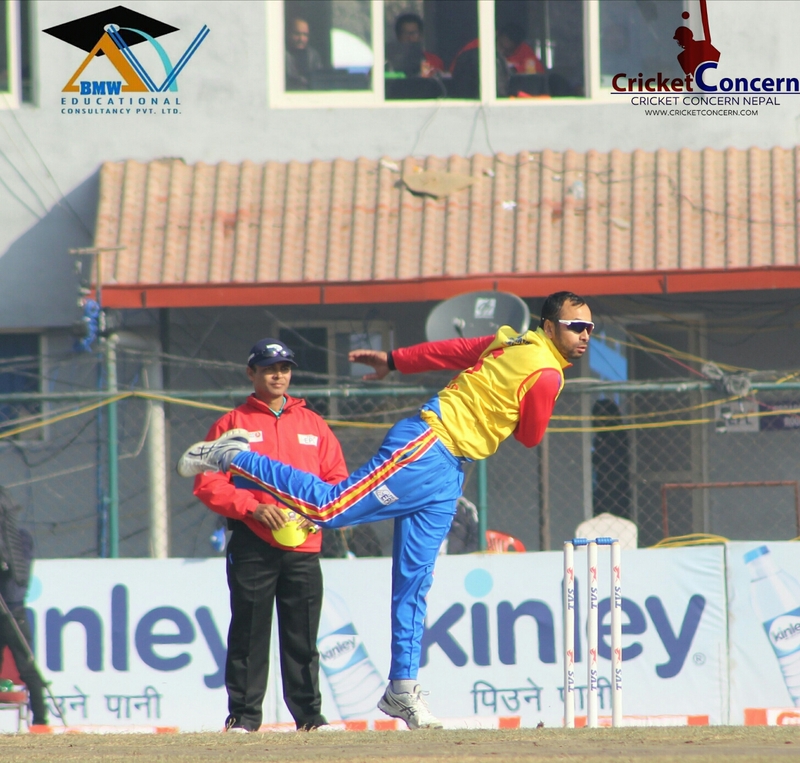 Then, the best part of the day happened when captain Khadka shouldered the responsibility to take his team back in the game in the 19th over of the match in the 2nd innings, giving away 2 runs and taking 2 important wickets of Md. Arif Sheikh and Rohit Kumar Poudel. It was a belief of most of the people presented on the ground and the skipper didn’t disappoint the trust shown by the people. Thus, that belief of the captain and his gamble in the last overpaid off as it was scripted for a youngster to be a hero in front of huge crowds and win the heart of the people alongside some of the best names in cricket around him. This was an end to an imperfect start that gradually changed fate for youngsters who got picked for such moments they would cherish for ages. This is certainly a boost for the whole team that could eventually make 2018, a year to remember for Nepalese Cricket in the internationally hosted events and tournaments.